Spring is just around the corner and one of the most beautiful ways to welcome it is to plant beautiful spring bloomers in our garden! Taking care of your garden by adding new flowers will make a wonderful display and will also make you enjoy your time spent there even more. There are plenty of flowers that bloom during springtime and we’ve picked our ten favorite. All of these flowers are easy to find and easy to care of as well. So, scroll along and let us know which of these is going to be your new garden favorite! Pansies are one of the most wonderful flowers you can find and there are so many reasons to love them! First of all, they are easy to find and cheap to buy; they come in great variety of colors and can be perfect for a garden bed or even for a small ceramic pot. 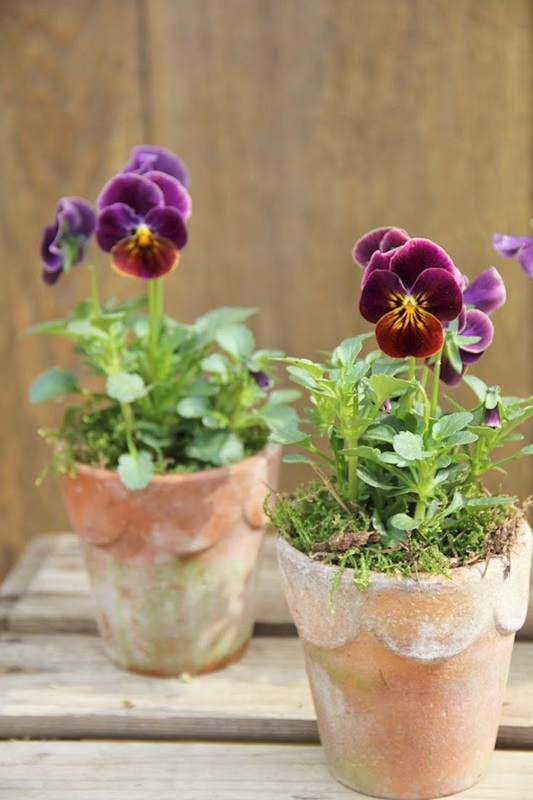 Pansies are biennial plants that require the minimum care, which makes them ideal for new gardeners. Experiencing the beauty of spring is surely best done by planting one of the most beautiful flowers that actually associate us with the weather – it’s tulips we’re talking about. 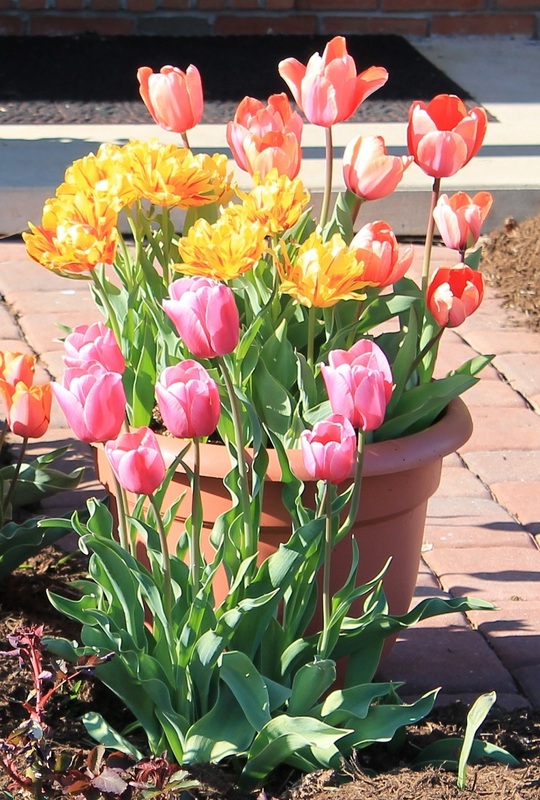 Unlike the pansies that come in many color varieties, the tulips are more limited in that matter, but they can make your garden appear so cheerful and beautiful. It’s very important to take proper care of the flowers, as it is essential if you want them to last longer. Aren’t these super cute? They surely do look like they’re going to make our garden as one from a fairy tale! The crocus flowers are considered early spring bloomers and they are best for herb or rock gardens, where they can be great companions to small perennials. 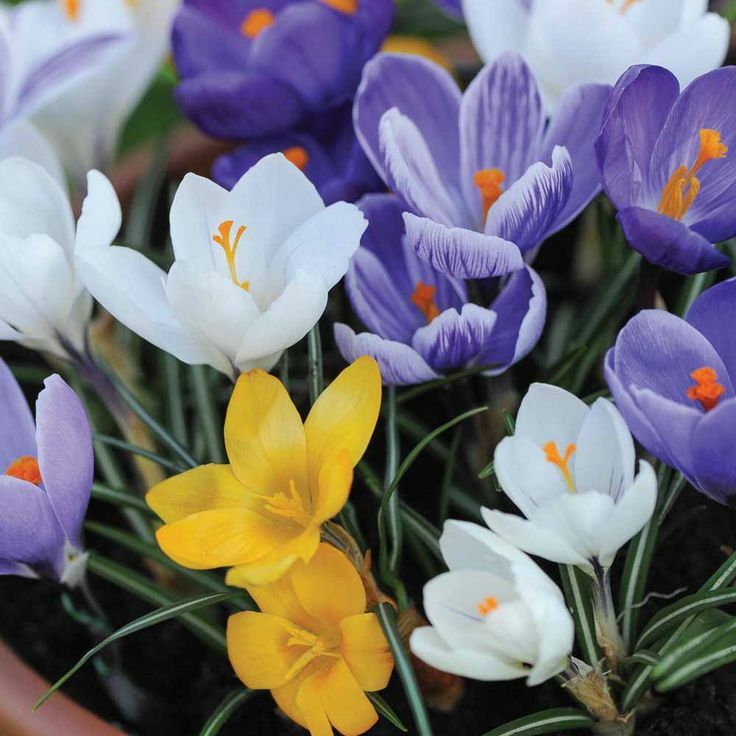 Crocuses are easy to maintain and really make a beautiful display, no matter where you plant them! 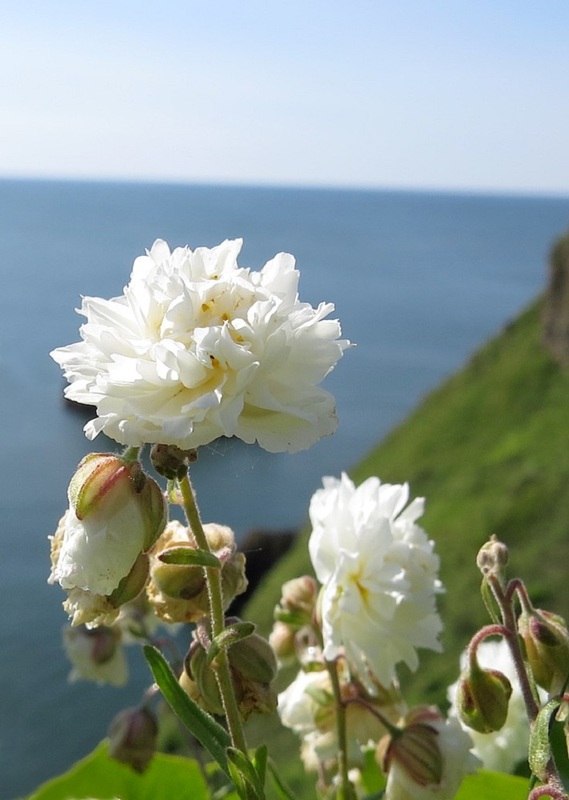 Even though these gorgeous flowers have ‘summer’ in their name, they bloom in mid to late spring. 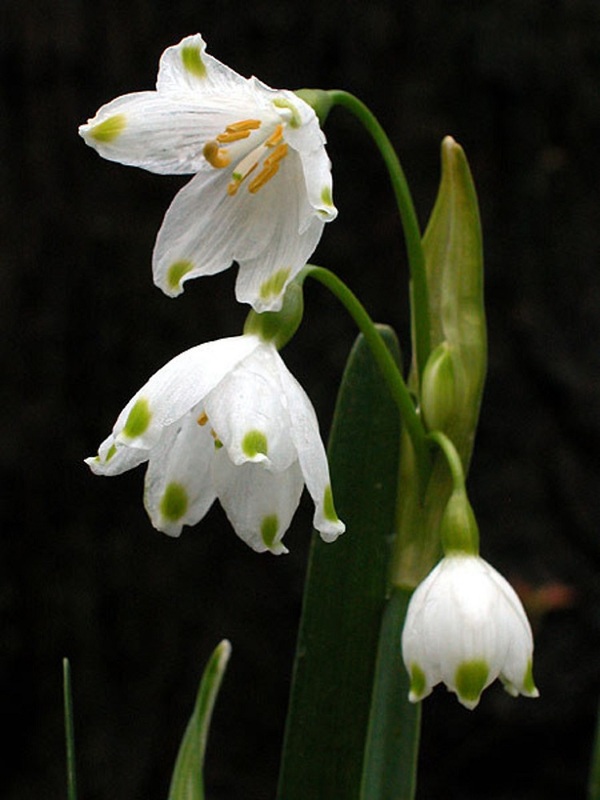 They have grass – like foliage and gentle, white drooping bells that have soft scent too! The summer snowflake is easy to take care of, with maintaining moist soil the only demand they have after spring’s arrival. They love the sun, so make sure to find a sunny position in your garden to plant them there. Everybody loves roses because they look and smell nice, but have you ever heard of a different kind of a rose that’s equally beautiful and requires such little care – it’s the rock rose we’re talking about. It is an evergreen shrub native to the Mediterranean that can survive tough conditions, including strong winds and droughts. The rock rose has green foliage and large flowers that bloom in late spring or early summer. The bluebells (or also known as wood hyacinths) are perennials that bloom from April to May. They should be planted in fall for spring bloom and are really easy to take care of, as all they need is well – drained soil with organic content. 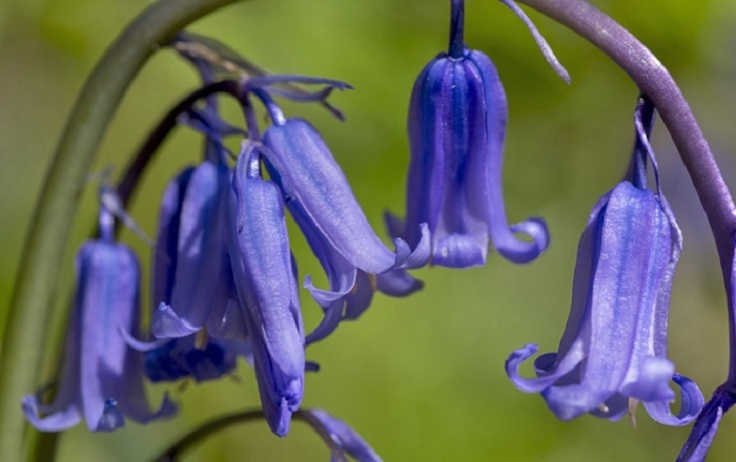 Bluebells come in shades of blue, white or pink and besides making a nice display, they also have an amazing scent too! The pleione flower belongs to the orchid family and what makes it so unique is that it isn’t the type of flower you would see in any garden. This type of orchid comes in 16 species and subspecies, with all of them coming from China, Northern India, Tibet, Thailand and Nepal. There are hybrids being created and they all look amazing. 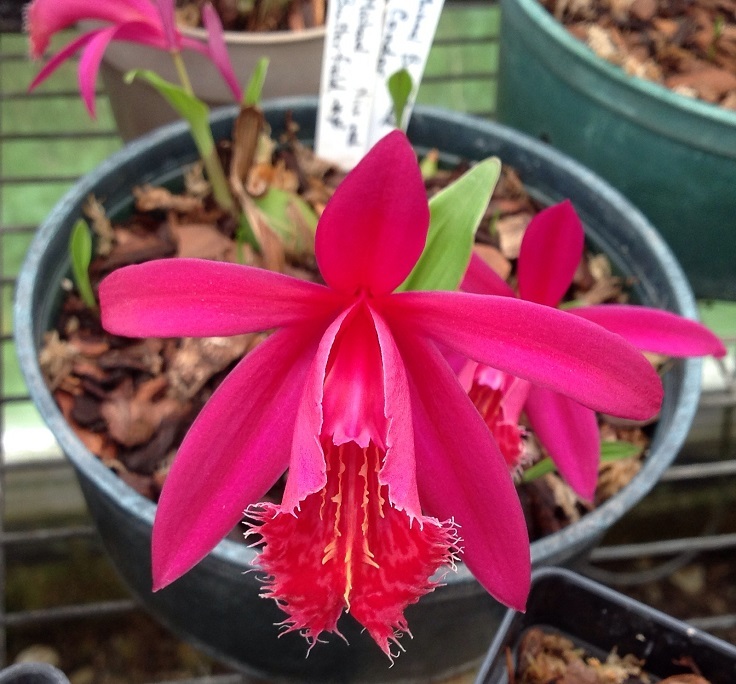 It isn’t difficult to look after the pleione and it will award you with such an amazing bloom. 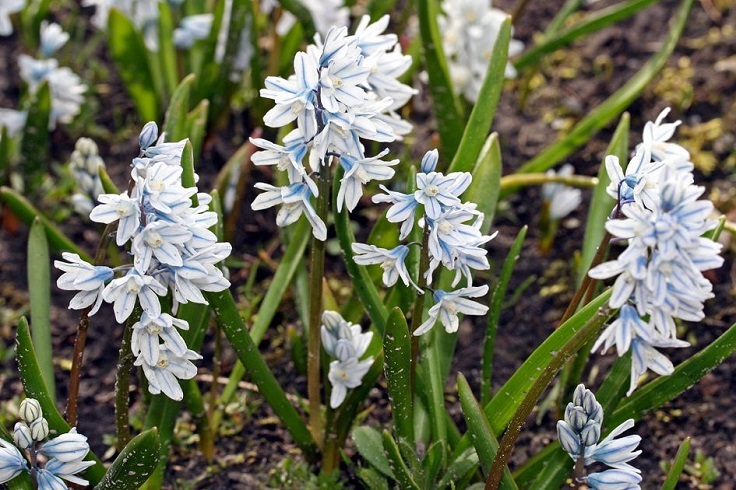 The puschkinia bulb is a member of the asparagus family and is also known as s striped squill or Lebanon squill. It is a short – length perennial, which makes it a perfect ground cover for your garden bed. They are easy to look after – the most important thing about the puschkinia bulb is to thrive in moist soil and to be planted in a well – drained planting site. Is there anyone who doesn’t like daffodils? These are one of the most joyful flowers a garden can have! With their bright colors they will definitely bright up your garden as well. They have green leaves which are essential due to the absorbing energy from the sunlight – that’s why it’s important to not cut the leaves when removing faded blooms. 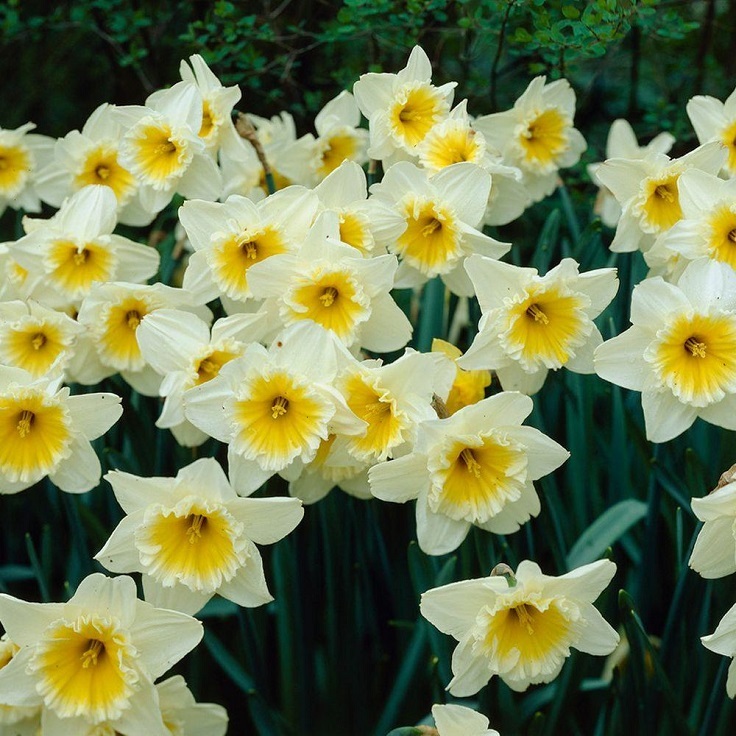 Daffodils require some care, but it’s simple and won’t take a lot of time until you see the beautiful results. 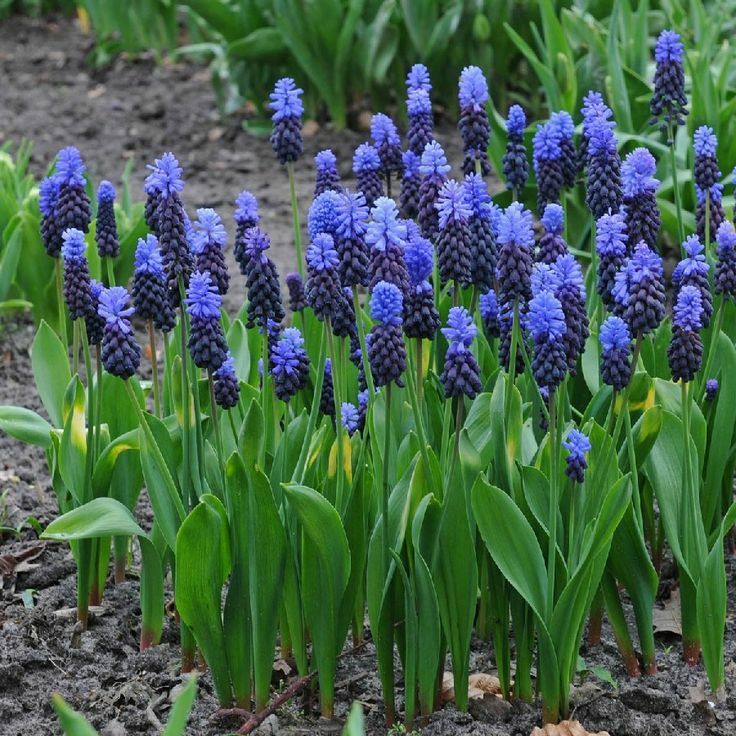 If you want to add bold color into your garden, then the hyacinth is the perfect way to do it. It comes in blue, purple, pink and white clusters of tiny flowers. They also have a wonderful scent and it’s a reason plus to love your garden this season even more! The flowers bloom from March to April and are considered as low – maintenance plant – no wonder why the hyacinth is consider to be a spring favorite. Beautiful selection of both common and exotic flowers. Some great new ideas for me. Thanks!